Rent South Bay Customs | Corporate Events | Wedding Locations, Event Spaces and Party Venues. South Bay Customs is an American Motorcycle shop, Art Gallery and Live Music Venue all rolled into one. We specialize in designing and building hand crafted motorcycles as well as producing live music events and art shows throughout the year. 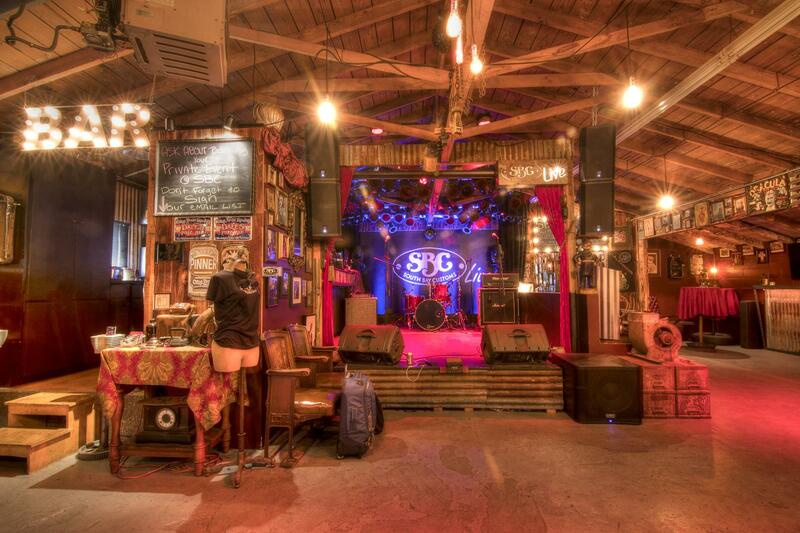 Located in El Segundo California, South Bay Customs features two rooms, a furnished outdoor patio, a turn-key stage for live music and is all tied together with an array of eclectic antiques and stunning art. Oh, and of course hand crafted custom motorcycles. Guests will feel like they’ve stepped into an “Old World Hollywood” club with no shortage of objects to catch their eyes. We are unique in that since we are also a full service custom motorcycle shop, the shop is the entertainment. And yes, we do actually design and fabricate custom bikes on the premises.